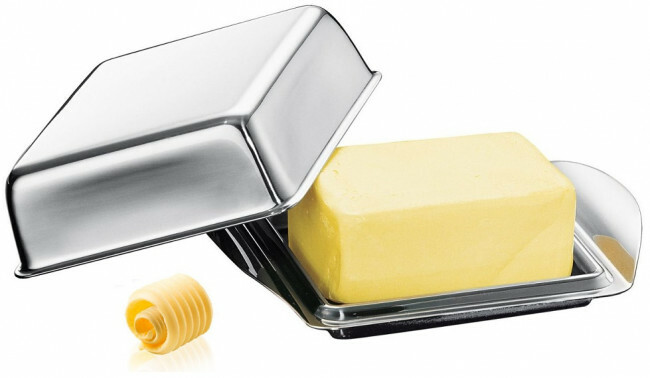 The use in kitchen of high quality butter for many dishes and the practicability of this butter holder give the possibility of using and keeping it in the refrigerator in an hygienic and functional way. Stainless steel structure, washable in dish-washer. Inner dimensions 12,2 x 8,5 cm. Outer dimensions 15 x 10 cm. Fit for a 250 g pack of butter.